GREAT HOME IN GREAT LOCATION!!! 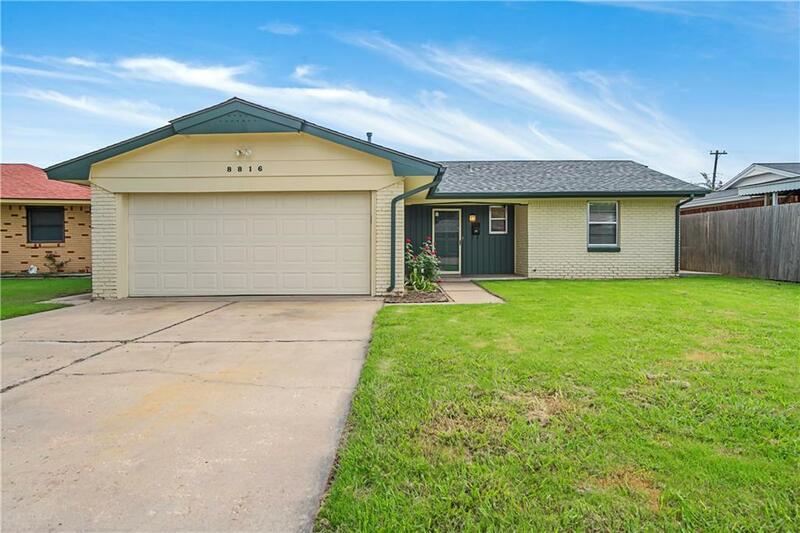 This Home features 3 Bedrooms, 1.1 Baths, 1 Living and Dining Areas with 2 Car Garage. Kitchen has been updated with Granite Countertops, Smooth Cooktop Range, Custom Cabinets, Lighting and Plumbing Fixtures. Laminate Wood Flooring, New Roof August 2018, New Garage Door, Storm Shelter, Large Storage Shed and much more. Home backs up to Fairview Elementary School. MUST SEE.